With celebrity comes scrutiny. Ocasio-Cortez has come under fire for dismissing concerns about the anticipated costs of her proposals and offering too-glib answers. Several readers have asked us to vet some of her claims, and because of summer vacation schedules, we’ve been a bit slower to follow up than our fact-checking colleagues. 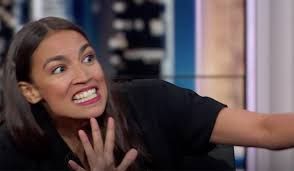 So here’s a quick round-up of some of her recent eyebrow-raising claims, though to be fair to Ocasio-Cortez, the average member of Congress might easily make many bloopers over the course of so many live interviews.